Lock in a great price for Anakato – rated 8.2 by recent guests! 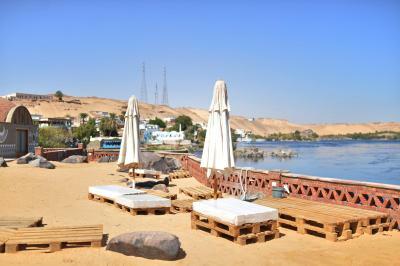 After arriving from Luxor the staff and atmosphere was a breath of fresh air. Some of the staff (Tamir and Chymaa were the best!) really went out of their way to make sure that you had everything you could possibly need. It really felt like they cared about you and the experience you had. 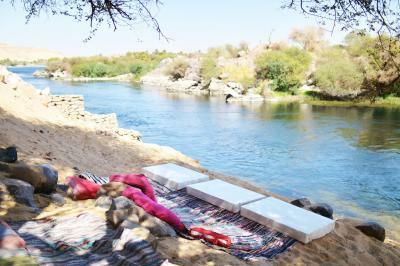 We loved staying in the Nubian village right on the Nile. The staff were very friendly and since the village is remote we decided to have them cook dinner for us for two nights. We had dinner on their boat that is moored off the guesthouse and enjoyed watching the sunset. The last day they served us Egyptian breakfast with cumin fried boiled eggs, falafel, ful, two types of egyptian flat bread with molasses. I with all places served Egyptian style breakfast like this. Beautiful river and sand views from an isolated location. We stayed at Anakato Kiki in Al Mounira chalet which has an excellent location overlooking the Nile and this was the best thing in our stay. The entire ambiance was amazing! 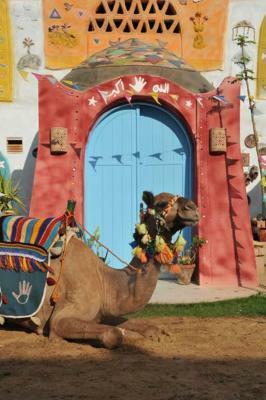 I also love the fact that the Nubian people own everything in their village! It increased the value for me! Everyone was extremely friendly and helpful! Beautiful location in the Nile. 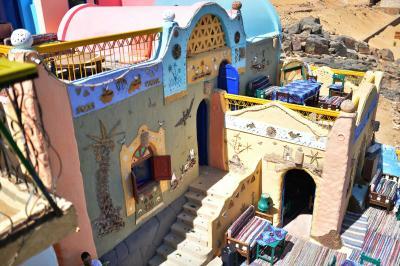 Tucked back in a Nubian village. Very helpful staff, help with reasonably priced day tours. Location is amazing.. stuff is so friendly and rooms are clean. 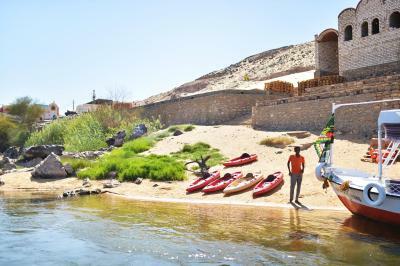 One of our top picks in Aswan.Built as a traditional Nubian houses, this colorful guest house consists of three buildings offering a tree-framed terrace over the Nile River. 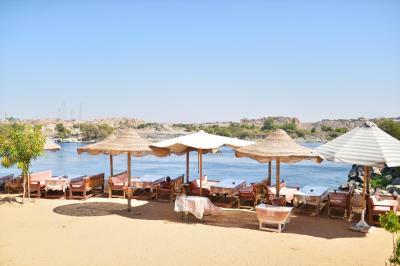 The Anakato is located opposite the town of Aswan. The guest house offers an on-site convenience store, and a shop selling hand-made products. 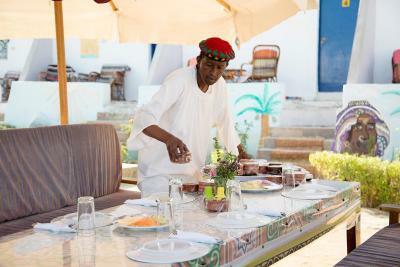 Guests can savor regional specialties at the restaurant, while enjoying traditional Nubian music and dancing. The rooms of the Anakato are simply furnished. They are decorated in traditional style, with bright contrasting colors. A room service can be requested for private in-room dining. The Anakato is about 5.6 mi of Aswan International Airport. The guest house offers a transfer service upon request. When would you like to stay at Anakato? This air-conditioned room offers a village view, a mini-bar and an private bathroom. Featuring a Nile view, this room comes with a mini-bar and bathroom. 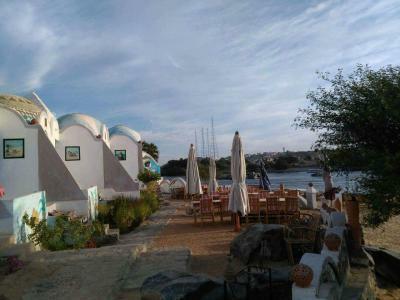 Featuring a Nile view, this air-conditioned room offers a small seating area, an electric kettle and a mini-bar. House Rules Anakato takes special requests – add in the next step! Anakato accepts these cards and reserves the right to temporarily hold an amount prior to arrival. Service is good. But the environment is very bad. We did not get the room we thought we were getting. There is more than one building and although I asked where we would be before arriving I did not receive an answer. Once there you are trapped in the village. What little there is to do will cost you. 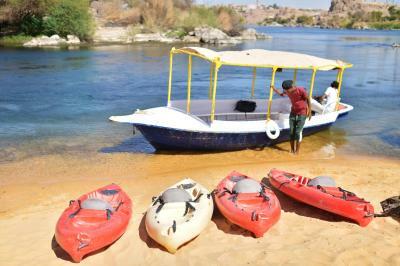 Visiting sites from here will cost you more than excursions from Aswan. We thought the cost of the room would include use of hotel facilities but that is not the case. You even pay for sitting on the beach. The room costs are very high compared to other places and facilities in Egypt. For an equal amount of time we paid almost the same amount for a Nile cruise and that included all meals and excursions. All the staff and local community are very friendly and helpful. The scenery and ambience of the area is beautiful. You will run the gauntlet when walking around the village but the shopkeepers do accept no and will not pursue you as they do in some other areas. Doors and sounds are loud in the rooms we stayed. We could clearly hear outside conversations. Not sure how this could be improved, but the rest of the stay was fantastic. the breakfast is served out side the hotel - and this is not mentioned No much varieties for breakfast. Way overpriced. The room was not only outdated but the shower was falling off the wall and the room wasn’t cleaned during our 2 night stay. Awesome and friendly staff specially Ms. Shaymaa, breakfast had lot of varieties and very delicious, place very clean, view is amazing, everything was perfect! To start off, we booked 'Anakato' through here, but were not placed in the domed buildings as expected, but in a room with a small balcony and standard ceilings in a separate building, Anakato 2 or 3. Not the end of the world but not what we were anticipating. The room was unfinished- 3 cords hanging out of the wall with no lights attached, no hangers and nowhere to hang hangers in the armoire, chunks of grout on the bathroom walls, gunk in the shower drain, tape gunk on the mirror, trash was not collected (gross when you're asked not to flush toilet paper), uncomfortable mattress and overstuffed polyester linens, thin walls... and loud music past 9pm both nights we stayed. Expected in NYC, not in a meditation-inspired desert location. Had high expectations for this place but it really just fell flat. On the bright side, the location really is beautiful.